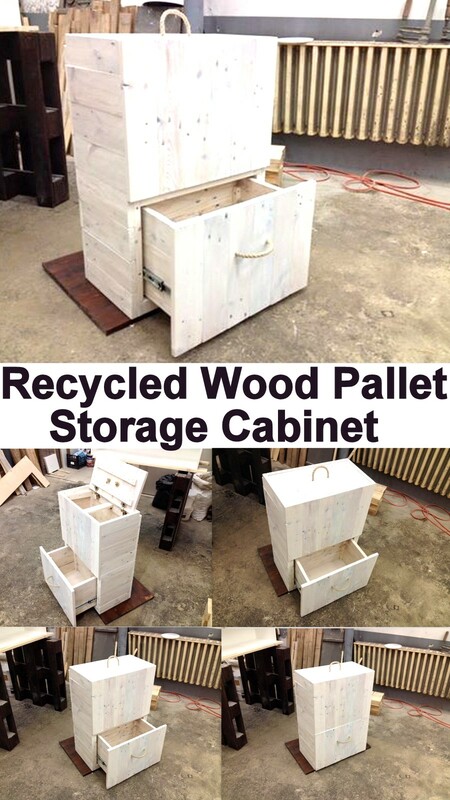 From last couple of days we were having many requests from our subscribers who wanted to see some stylish and modern wood pallet recycled storage cabinet. Some of them were of the view that mostly we have presented some raw and classic or vintage pallet wood storage cabinets, so they were arguing that what if someone is not willing to keep inside these old fashioned wooden storage cabinets, so just to make that certain class happy we have brought this mod squad pallet wood made storage cabinet which is all equipped with some trendy features and stylish shape. So here the wooden beauty is revealed in front of you guys. 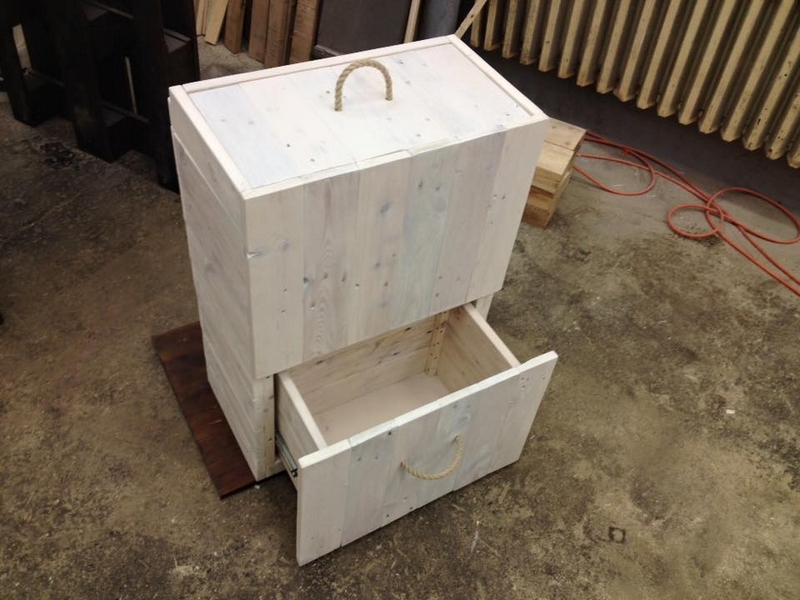 I am sure you would find it to be pretty exciting wood pallet creation. Apparently it seems like decent side table that are usually kept beside the wooden room beds. The height of the cabinet is perfectly like that. 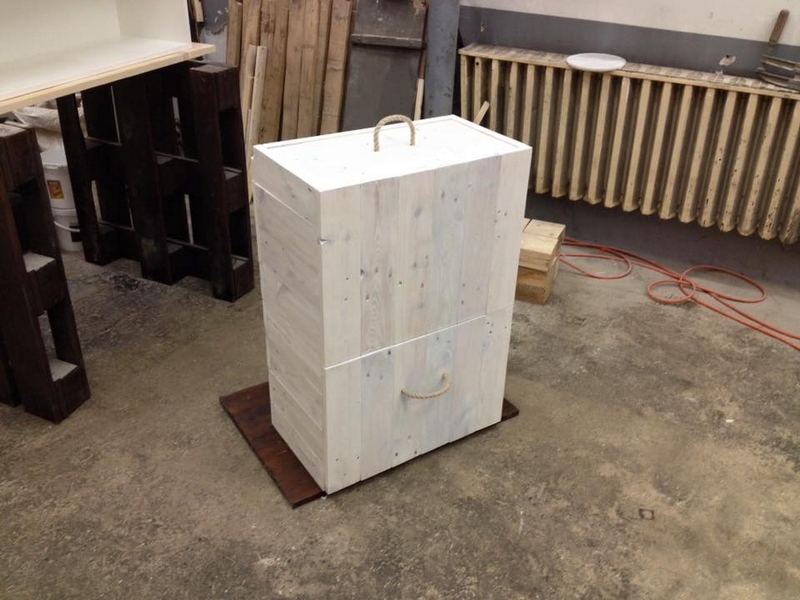 Now here we have unleashed here the real mod side of this advanced pallet wooden repurposed storage cabinet. I think that class which was complaining would have become just more than happy to see this one. As this has got the most unconventional design that none of you would have seen somewhere earlier. 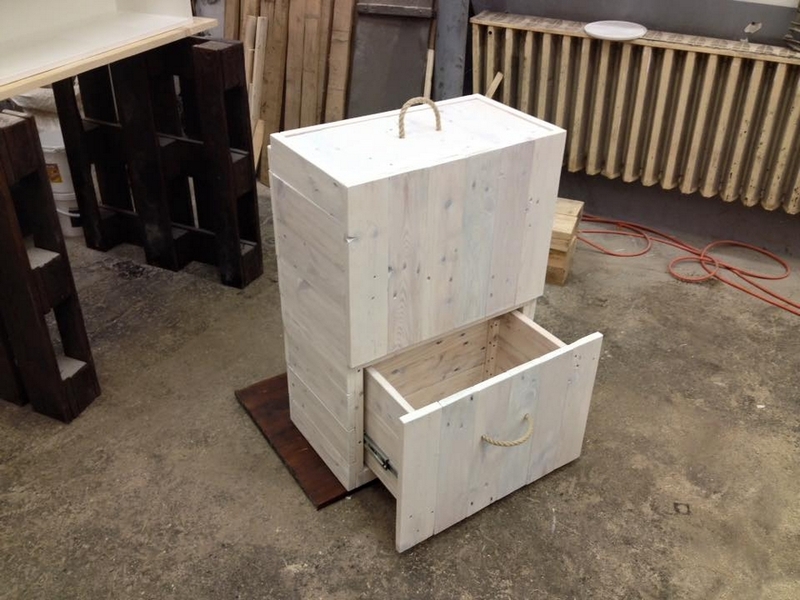 This is basically a multi chambered pallet wood upcycled storage cabinet. One is on the bottom and the other one opens from the top, like the door is pulled up to open this upper chamber. 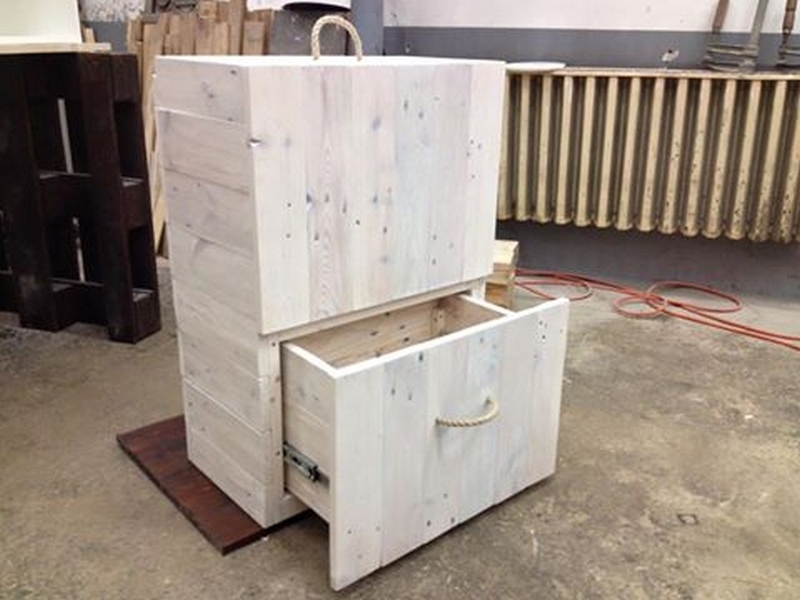 This could also be a hack or trick where you can preserve some of the valuables too. 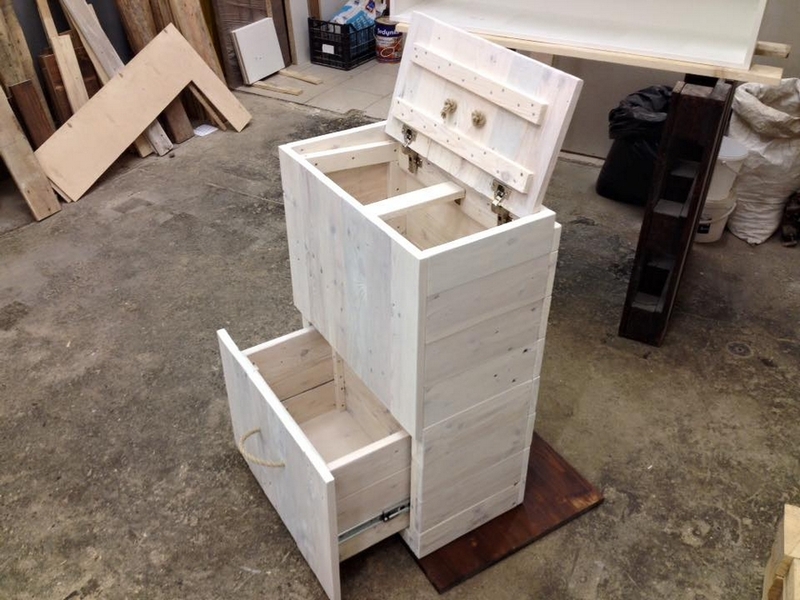 Another feature that must be discussed here is the strange rather stylish knob that is neither wood made not made with some metal, but we have made with a thick rope piece that has added a lot more charm and attraction in this wood pallet storage cabinet.